Depression is the most common mental health issue throughout the United States. While many people think that depression is something that is only the concern of younger people, the reality is that depression can, and does, impact people of all ages, including elderly adults. 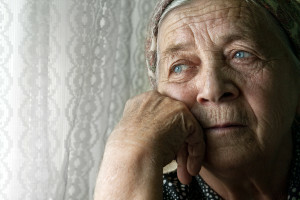 Many elderly adults who have never suffered from depression develop this concern later in life due to the changes that older adulthood can bring, such as social isolation, reduced physical function, and thoughts of mortality. As a caregiver it is important that you not only detect when your parent may be suffering from depression, but also to take steps to help them overcome it so that they can live a healthier, happier lifestyle throughout their later years. While most people have some concept of what depression “looks” like, the truth is that every person who suffers from this condition experiences it in a very personal way. This means that they might not show the symptoms that you expect them to, and may show symptoms that you do not automatically attribute to depression. Being aware of these unexpected symptoms can help you to be better prepared to help your loved one cope with their depression. Physical pain. You may think of depression as emotional pain, but it can also be a source of significant physical pain as well. Approximately 75 percent of sufferers of depression experience aches and pains. Chronic or recurring lower back and neck pain are extremely common, as are headaches and stomachaches. Your parent might also experience aches in their joints similar to flu pain or arthritis. Heightened irritability. Most people immediately think of sadness when it comes to depression. For many people, however, it can manifest as irritability and anger. Pay attention if your parent has been lashing out or seems to have a much shorter temper, it could be an indication of depression. Perfectionism. If a usually laid-back senior suddenly seems to be exacting about everything, take note. Depression is often linked to perfectionism and a need for stringent, unwavering control over everything. This often stems from feeling out of control in their emotions and what they are going through, and the need to manage something. If you are concerned that your elderly loved one is dealing with depression, now may be the right time for you start considering elder care. An elderly home care services provider can create a customized course of care that is designed specifically with your parent in mind. This approach will take into consideration your parent’s specific needs, challenges, and limitations, as well as their interests and personality to help them to live a lifestyle that is more fulfilling, engaging, and positive. Often just the added companionship, social engagement, and extra ability to be active and independent that is provided by a care provider can make a tremendous difference in a senior’s depression and help them to live a healthier, more positive life as they age in place. If you or an aging loved one are considering Elderly Care Services in Malvern PA, please contact the caring staff at Alpine Home Care. In PA call 888-743-0068. In NJ call (855) 410-1404.